The Concord Mirror is a gorgeous piece. It is fashioned with an Art Deco flair. The main frame is rectangular with a circular mirror and frame at the top making an arched shape. The frame is composed of mirrored bars that are then trimmed in a silver leaf border. It is a perfect focal point for any design. 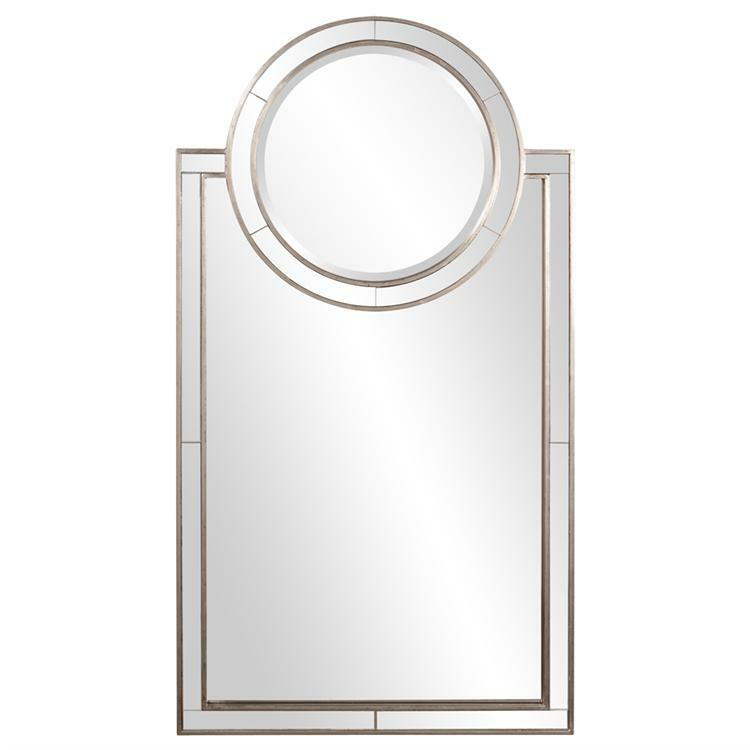 The mirrored panel on this piece has a bevel adding to its beauty and style. Customizable for larger orders.